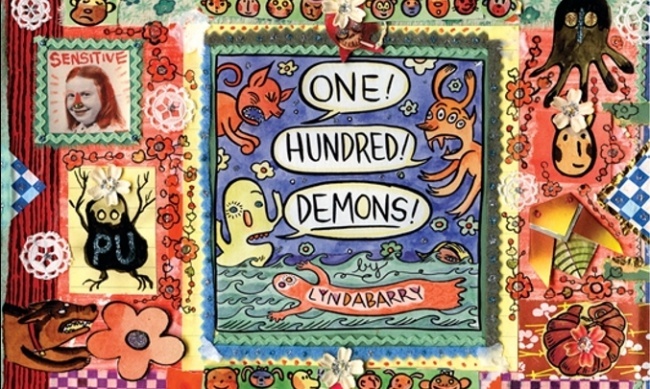 Award-winning cartoonist and author Lynda Barry has been chosen as the University of Wisconsin’s first recipient of the Chazen Family Distinguished Chair in Art. Barry’s most recent release in a new edition of One! Hundred! Demons! from Drawn & Quarterly (see “Peter Bagge, Joe Ollmann, R. Sikoryak, Lynda Barry”). She is best known for her nationally syndicated comic strip Ernie Pook’s Comeek, as well as The Good Times are Killing Me, Cruddy, and the Eisner-Award winning What Is Is (see “2009 Eisner Award Winners”). Barry joined the UW-Madison faculty in 2012 as an artist in residence at the Arts Institute. 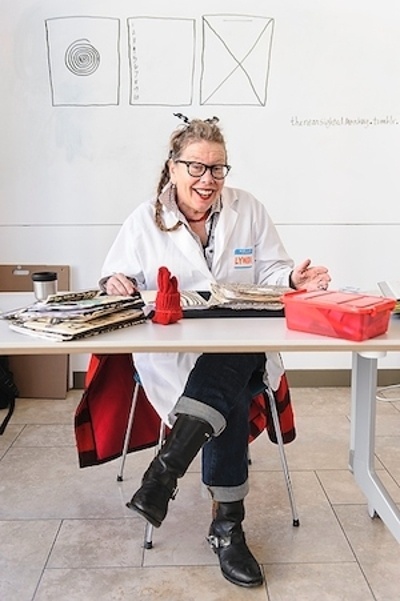 She has been in residence at the Wisconsin Institute for Discover, where she has created numerous groundbreaking, interdisciplinary outreach projects. The Chazen Family Distinguished Chair in Art was created as part of a $3 million gift in September 2015 from UW-Madison alumni Jerome and Simona Chazen. It also established the Simona and Jerome Chazen Distinguished Chair in Art History. Ten years ago, the Chazens made a $20 million donation to support the expansion of the university’s Elvehjem Museum of Art, which was then renamed the Chazen Museum of Art.